Oracle Data Cloud senior VP and co-founder of Moat, Jonah Goodhart, and group VP, data science, Robin Opie, visited Sydney for the Oracle Data Summit last week. They told CMO marketers will not be limited by technology in the future, rather it will be up to society to decide where they want technology to take them. Both agreed marketing change driven by technology is only just beginning globally, and privacy challenges around data, as well as artificial intelligence, both have significant roles to play in the digital marketing experience of the future. “We’re going from the current linear increase over the last few years to exponential in terms of technology, and it will be up to society to decide what direction we move in,” Goodhart told CMO. “But the potential to ask different and challenging questions, and get answers, is becoming available. We used to be in a world of putting up a banner ad on a Web page, and that was all the innovation we had. Fast-forward to now, and anything from location to offline sales sale data can be included. We now have the ability to be incredibly smart and to service the consumer in a respectful and thoughtful way. “But we need to figure out what we do with that, and where we want to go. We have to ask what is the right way to use those tools, both from a consumer protection and a privacy lens. We must make sure we’re doing things in a way that make sense. The limitation is not data or science, it’s choices, and what we decide as human beings is what we’re willing to accept." Opie saw AI continuing to drive more marketing decision making at the highest level, allowing marketers to influence behaviour and generate more value than ever before. “AI is the intelligence that drives many marketing recommendations," he said. "Right now, machines are taking all of the data that can be collected and deciding things like whether someone is a good candidate for an ad. This extends into new things, such as sifting through Web pages to draw inferences, and improving datasets to help us understand consumers better." At the highest level, AI is going to continue to drive more of the marketer's decision making, because it is measurable and it's possible to prove how well it worked, Opie. "In the coming months, the digital footprint is going to move into adjacent areas, such as TV being consumed in an online manner like Netflix and YouTube," he predicted. "As that whole paradigm shifts, we are going to have the granular data the digital world is accustomed to using, in that targeting. AI ends up front and centre to process that data, because it’s all too much for a human brain to process." The ability to collect data is improving, as well as using AI to make decisions and smart recommendations from data is improving. Consumption patterns are also moving in a manner that makes it possible to collect even more information, Opie said. "There’s no doubt there are tectonic movements in technology right now," he said. “The value proposition is becoming so clear with all of that information, and its creating this massive compounding effect. Marketers are going to be able to influence behaviour and generate more value than has ever been the case before. “Consumer expectations are also changing as a result. If we trust someone with our data there is also an expectation that they will show us something we want. This is all increasing our expectations of companies." Both executives saw Australian marketers are pioneers in their field. 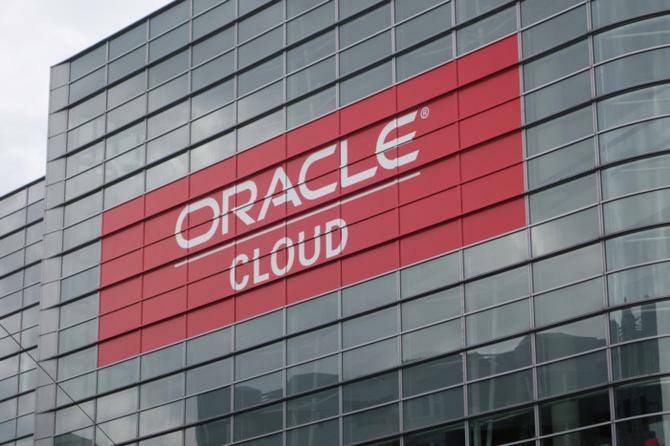 Opie said the local market is very sophisticated, while Goodhart said Australia is embracing digital at a rapid rate and is a leader in the region, and Oracle is looking to learn from this. “Australia is playing a central role across the globe and in APAC. It’s a big market, digital spend here is around $8 billion a year, and it continues to grow, in fact, 40 per cent of overall spend is digital,” Goodhart said. “Australia is 100 per cent embracing digital metrics and measurement and is very numbers driven. When other markets crashed during the economic downturn, Australia didn’t; the economy here has been a star when others faced a lot of challenges. We’re looking to learn from what works here and the uniqueness of this environment. “Oracle is making a big bet on Australia, and we’ll continue growing in this market because there’s huge potential here." Opie was surprised how quickly Australians are moving to not only embrace these principles, but also ensure they have the right technology infrastructure in place to embrace continuous metrics and ongoing improvements from these metrics.